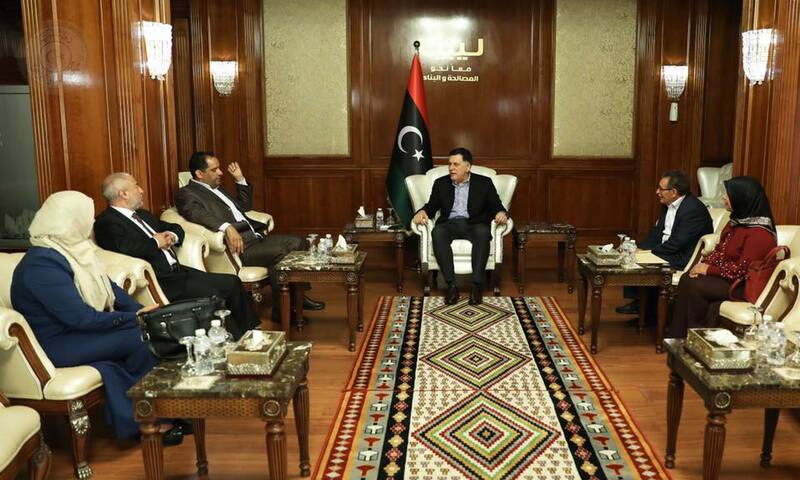 Chairman of the Presidential Council (PC) Fayez Al-Sarraj met with First Vice-President of the High Council of State Naji Mukhtar and several members of the HCS at his office on Tuesday. The meeting discussed the latest developments in the political situation as well as the implementation steps regarding the security arrangements and the economic reform program, in addition to the efforts to unify the state institutions. They agreed to continue communication between the two councils in order to overcome the current crisis.